Nashville, TN -- Next week, Country and bluegrass music legend Ricky Skaggs will be honored in Nashville by the Academy of Country Music (ACM). On Monday, September 24, at the 6th Annual ACM Honors ceremony held at the historic Ryman Auditorium, Skaggs will be presented with the Cliffie Stone Pioneer Award. Each year, this prestigious award is presented to several true pioneers of the Country music genre. In addition to Skaggs, Emmylou Harris, Dwight Yoakam and producer Billy Sherrill are set to receive their Pioneer Awards at this year's ceremony. "I'm very honored to receive the ACM Cliffie Stone Pioneer Award this year,” notes Skaggs. “It means a lot to an artist to be recognized for their work. I very much appreciate this award." Winning the Pioneer Award puts Skaggs into a category of legends that is chock-full of Country music royalty. Past recipients include Alabama, Johnny Cash, Charlie Daniels, Merle Haggard, George Jones, Loretta Lynn, Willie Nelson, Larry Gatlin & the Gatlin Brothers, Dolly Parton, Charley Pride, Jerry Reed, Tex Ritter, Marty Robbins, Kenny Rogers, Mel Tillis, Conway Twitty, Porter Wagoner, Hank Williams Sr., Hank Williams Jr. and Bob Wills, among others. With 12 #1 hit singles, 14 GRAMMY® Awards, eight ACM Awards, eight CMA (including Entertainer of the Year) Awards, Ricky Skaggs is truly a pioneer of Country music. Since he began playing music more than 50 years ago, Skaggs has released more than 30 albums and has performed thousands of live shows. Skaggs and his band, Kentucky Thunder, continue to keep the tour trail red hot, performing more than 80 live dates each year. On Tuesday, September 25, a day after receiving the Pioneer Award, Skaggs will release Music To My Ears, his first all-new Country and Bluegrass album in more than three years. The album is currently available for pre-sale purchase at iTunes, Amazon.com and SkaggsFamilyRecords.com. 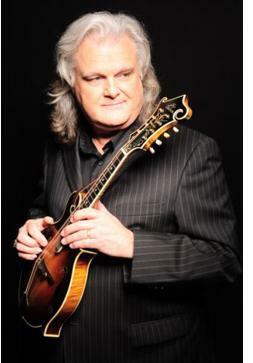 For additional information on Ricky Skaggs, visit www.rickyskaggs.com.